A floating swim raft from Shoreline Industries s is the perfect way to have more fun on the water this summer. You and your family will appreciate the easy to install, easy to anchor, incredibly stable Escape Swim Raft. The Escape Swim Raft designed to provide you with your own private island, so you’ll be able to relax and work on your tan in comfort and and style. 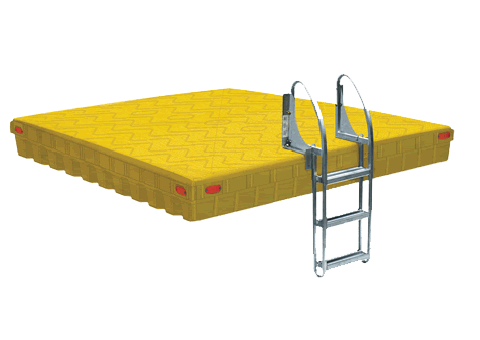 All Escape Swim Rafts include a premium aluminum pivoting ladder and Escape Swim Rafts are available in your choice of three colors; Tan, Gray, and Yellow.